Why the Governor J&K has announced scrapping of Group Medical Insurance Policy ? 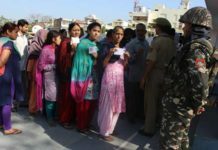 The Group Medical Insurance Policy for Government employees, and some others also, proposed a few months back has always been under issues. Right from its inception, issues were raised about its hefty implementation, high and compulsory premium etc. Although it did seem a shady deal, but nobody would have believed how easily it would be scrapped; but the moment has come! Governor Satya Pal Malik has announced scrapping of Jammu and Kashmir Group Medical Insurance Policy for Government employees with Anil Ambani’s Reliance General Insurance saying “it was full of frauds”. He has also said the officers responsible have been identified. ‘…entire process was carried out in hush hush manner and even the tenders were opened on holiday to suit a company’. Not just this, Malik has also announced cancellation of another contract of dam over a river, without naming the project, saying a deal of Rs 100 crore was finalized by the officers and cost of the project was raised by 35 per cent to secure benefits. In this case, he said, one of the officers has been removed. 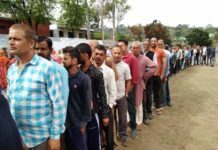 Malik said he was told that 2 to 4 per cent commission is charged in other parts of the country but in Jammu and Kashmir, commission between 12 to 15 percent is taken shamelessly. “My first agenda is to stop such type of corrupt practices,” he added. 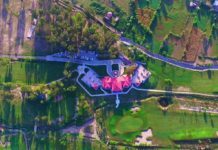 ‘…bungalows of some of the officers have 15 rooms and carpets worth several crores inside while a common mule owner of Kashmir, who takes people on Shri Amarnath Ji pilgrimage, even doesn’t have a sweater to wear’. Moreover the Government has approved establishment of Anti Corruption Bureau (ACB) with powers to arrest the corrupt officers and attach their property. Next articleWhat is the instrument of accession in simpler words? Embroiled in cases; JKPSC spends double the budget on legal fees!